When studying conflicting viewpoints, you should identify two things. 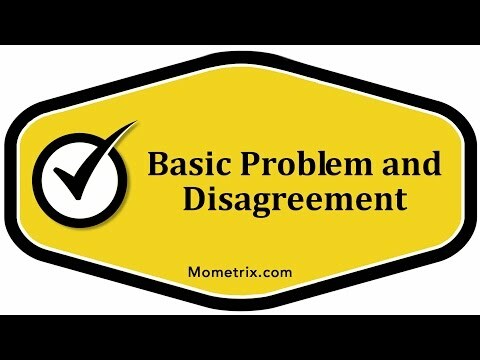 The first being the basic disagreement which is taking place. The second thing you should identify is the basic question they are seeking to answer. In order to assess the rival claims made by scientists, you must understand the specific points on which they differ. Now, in order to understand the specific points on which they differ, you must understand the basic questions they are seeking to answer. It may be that the rival claims made by the scientists are not, in fact, conflicting, but are simply two differing approaches to solving the same problem. That’s why it’s important that you investigate the conflict here by understanding the basic disagreement, but also understanding the basic question each scientist is seeking to answer, and by that, understanding the specific points on which they differ.